The workflow «Expense report» is a comprehensive documentation preparation tool. With various inputs, it allows to create documents to register the expenses for fuel, business trips or representative expenses. The workflow «Expense report» placed in Activity Stream: Workflow — Expense report. Besides the workflow, two universal lists are used for generating reports. These lists are located in the menu: Services — Lists. 1) Expense reports — this list is used for accounting of company expenses for various representative events. 2) Cash register receipts — several checks can be attached to each report, that’s why the separate list for checks is used. Templates for generating the documents are stored on the «Company Drive», folder «Document Templates». Generated documents are stored in the folder «Ready documents». For each expense report is created its own folder. It's possible to change the place of storing the generated documents, it is specified with the help of workflow's constants. The documents are stored into this folder, based on the list of documents, which is necessary for the selected type of expense report. Two tabs will be added to CRM on the tab Companies — Cash register receipts and Expense reports. All checks, related to the company, will be collected on the tab Cash register receipts. All expense reports will be shown on the appropriate page. This tabs will appear automatically, if in the list will be created the field with binding to CRM and the box «Show on CRM details form» is ticked. You can run the generation of documents not only on your own behalf, but also for another user. For example, for the manager/head, if he gave the instruction to form an expense report. 1) Responsible — select the employee, on behalf of which the workflow will be started. If this field is left blank, the documents for the expense report will be filled in for the user, who started the workflow. 2) Month report? — you may select “yes” or “no”. These options affect how the dates of orders and other documents are formed. If «yes» is selected (monthly report), as the last report dates will be taken beginning and end of the month. If the report is not for a month, then the range dates are the dates of the first and last checks. 3) Expense purpose — there are three types of expense reports. They differ in the set of documents, that will be generated when the workflow starts. a. Fuel — only two documents are generated: office memorandum for fuel and expense report in Excel. b. Business trip — only the expense report is generated (in Excel). c. Representative expenses — a set of 6 documents is generated (details below). 4) Funds received — given money. Depending on the selected expense purpose, the form of filling in further information will be different. Consider each type of expenses and filling in an application for it. In the first step, select the type of expense — «Fuel», in the second step, you will have to add a check. Since there may be several checks, this step is introduced in the loop with filling of each check separately. If there are several checks, then fill in the information of the first check and in the field «More expenses?» select «Yes». Then a window will open to fill in the data of the next check. And so on until all the checks are registered. When the last check is registered, in the field «More expenses?» select «No». 5) More expenses? — are there any more checks. After filling in all the checks, you will receive a task to attach photos of checks. After attaching all checks, the accountant receives the task for approval, with reference to the list of checks — this will be a filtered list «Cash register receipts» for this expense report (its number). The accountant may approve the document or reject it, stating the reason in the comment. In this case, the workflow’s author will be notified that his check has been rejected, with an indication of the reason. He has to make the appropriate changes to the list «Cash register receipts». After making changes, user has to click «Done». The accountant again receives a task for approval. When an accountant approves the checks, documents are generated by the templates and loaded into the folder with the number of the expense report. Standard notice about approval of checks will appear, with the link to the folder with generated documents. To the official memorandum substitutes the name of employee (whose report), the sum for fuel, in brackets — the sum as string. At the bottom of the page is inserted the current date and name with space for signature. In the expenses report is indicated: sum (as string), department, employee; in the table — received funds and the overrun or the rest. On the second sheet lists all the checks. In the first step, select «Business trip» in the field «Expense purpose». 6) Save in the company? — is it necessary to bind these expenses to the company? 7) Which company to save? — select the company to bind expenses. If you set a company at this step, then a new record will appear in the company card in CRM / tab «Expense report». Next, attach the photos of checks. Checks must be approved by the accountant. A notification with a link will appear. File with an expense report will be generated in a separate folder. In the first step, select the type of expenses — «Representative expenses». 6) Other — if «Other» was selected in the previous field, then in this field describe — what exactly. 17) Save in the company? — is it necessary to bind these expenses to the company? 18) Which company to save? — select the company to bind expenses. If «Yes» is selected in the field «More expenses?», then in the next step a window with already filled data will open. That was made because it is often necessary to register the same type of representative expenses — for example, gifts for different companies for the holiday. 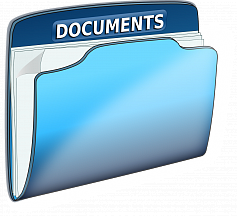 Documents will be generated in a separate folder. 1) Estimate for cost — shows, how much money to give. The date is formed by the formula, contained in the workflow. In the table — list of events with dates, sums, expense types and location of meetings. The source of funding is taken from the workflow constants; responsible person is also substituted. 2) Act — the calculated date is substituted, a table with description of expenses displays. 3) Report — more detailed table of expenses with checks. 4) Report (in xlsx format). 5) Order — the calculated date of the order is substituted, responsible person (who fills in the expenses report), calculated dates of readiness of meeting program, estimate for cost and report. Also dates of the order for the signature of the acquainted persons are substituted. 6) Plan of meetings — the calculated date of the document is substituted, table with the schedule of negotiations indicates all officials and their number, responsible person.